One of the things that I love about this time of year is the opportunity to spend time with family and friends. The combination of Easter, holidays, Mother’s Day and longer days offer plenty of weekends to catch up with loved ones and with that the time to celebrate. With a few get togethers coming up I decided to spruce up my kitchen table with a couple of new accessories. 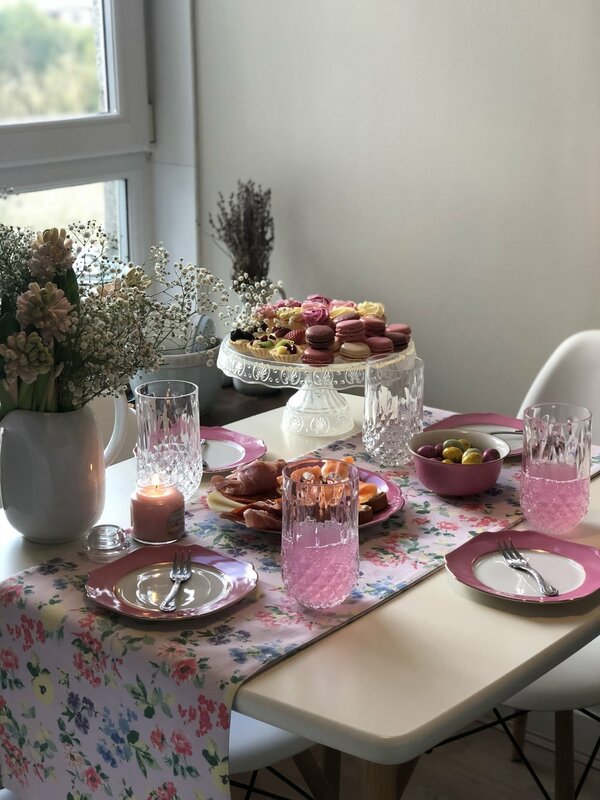 A new set of plates, different glassware or even just a vase of fresh flowers can quickly change up a room, making it feel brand new and ready to welcome guests. I headed to Aberdeen’s Bon Accord Centre and browsed its stores one Saturday afternoon. 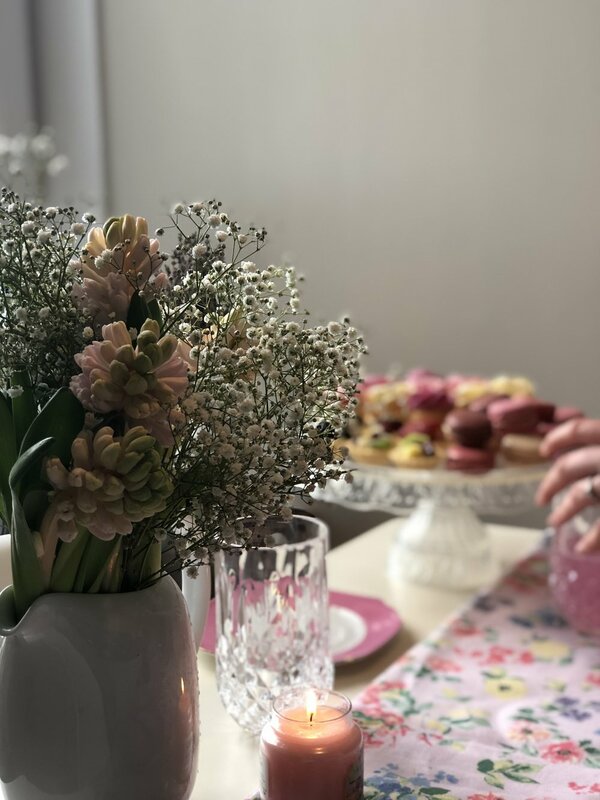 Located in the heart of the city, here is where you can find everything needed for throwing a party, whether it be big or small, from tableware from John Lewis to food and drink from M&S to soft furnishings from Laura Ashley. I had a broad list of items with me and not a particular theme, but ended up choosing a selection of blush pink pieces, perhaps subconsciously inspired by the cherry blossom which is currently coming into bloom. I picked up four new glasses from Laura Ashley which, despite not looking it, are plastic so will be perfect for picnics in the summer, as well as a floral table runner from the same store. M&S is currently stocked full of goodies so I scoured the aisles for a while before choosing a selection of sweet and savory treats including smoked salmon, a quiche, macarons and my favourite lemonade with rose, and of course a few mini Easter eggs and hot cross buns. 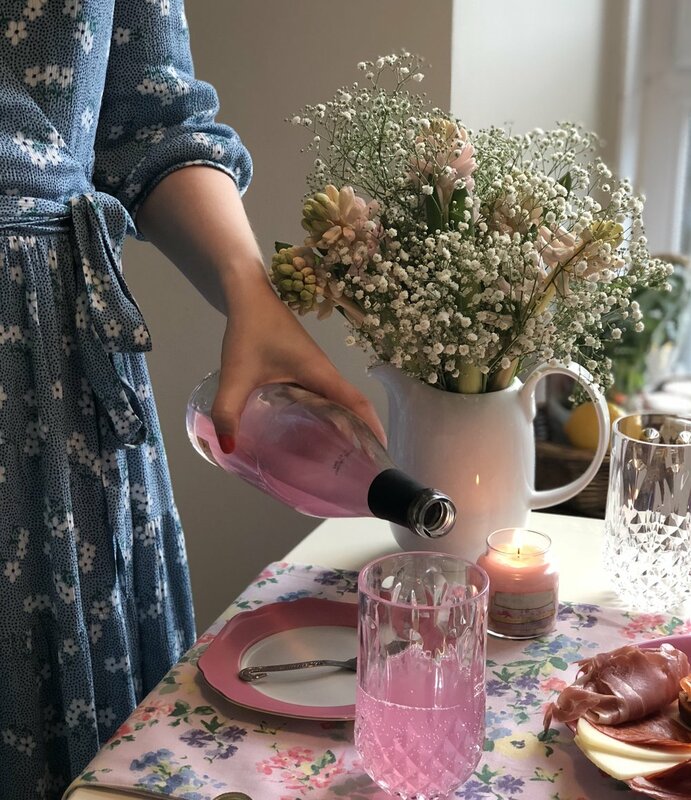 To finish the table I bought a couple of bouquets of flowers including gypsophila which I love and a candle from Yankee to leave a sweet spring smell in the air. Thank you to the Bon Accord Centre in Aberdeen for sponsoring this post.